My Kid Is Not Crazy is the Cinematic, pediatric equivalent of BRAIN ON FIRE-MEETS-Infectious Madness. A film that will change the way we look at mental illness forever. 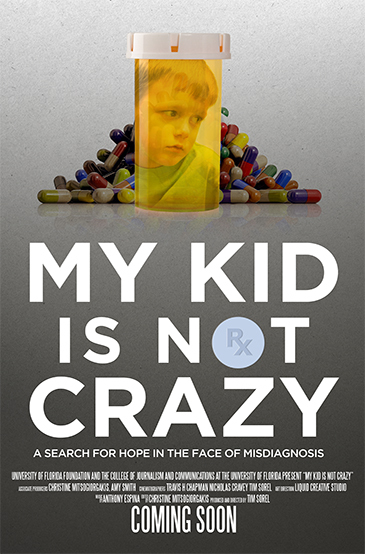 My Kid is Not Crazy documentary trailer from Tim Sorel on Vimeo. More than 30 years ago, Susan Swedo—a doctor with the National Institutes of Health—discovered that an undiagnosed strep infection was the cause of one child’s disabling illness. The more Swedo dug, the more evidence she found: Strep was linked to symptoms normally chalked up to psychiatric illness. The result: the entire pediatric-care industry is confused and doesn’t know what to do. My Kid Is Not Crazy has finished post-production and is being judged by several US film festivals. For past news on the film please see the NEWS page.